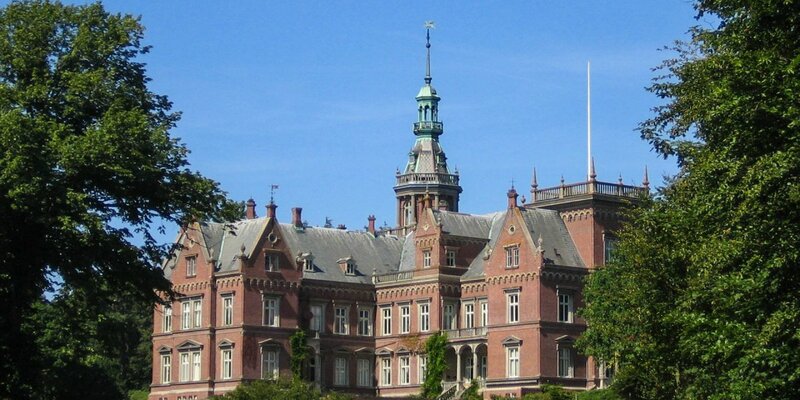 The well-known manor Krapperups Slott, Skåne's oldest and once most powerful manor, is located on the Kullen peninsula near Mölle. 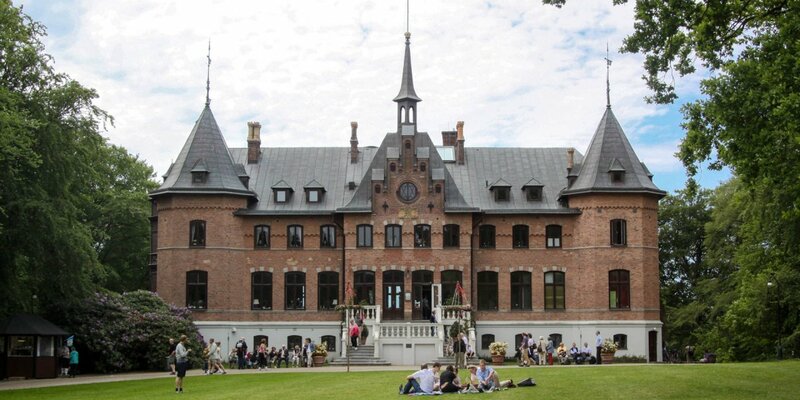 Today's Krapperups Slott dates back to the mid-16th century and is surrounded by a beautiful park which is accessible all year to the public. A visit to the inner castle is only possible for groups in the period from Easter to Midsummer and from mid-September to mid-October. 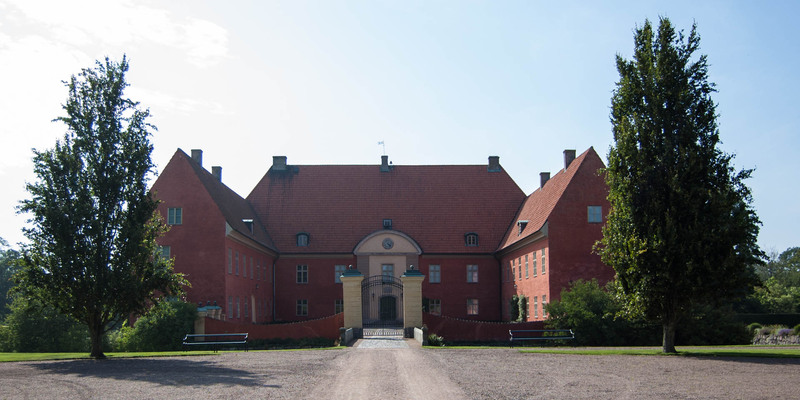 The manor is owned by the family Gyllenstierna. 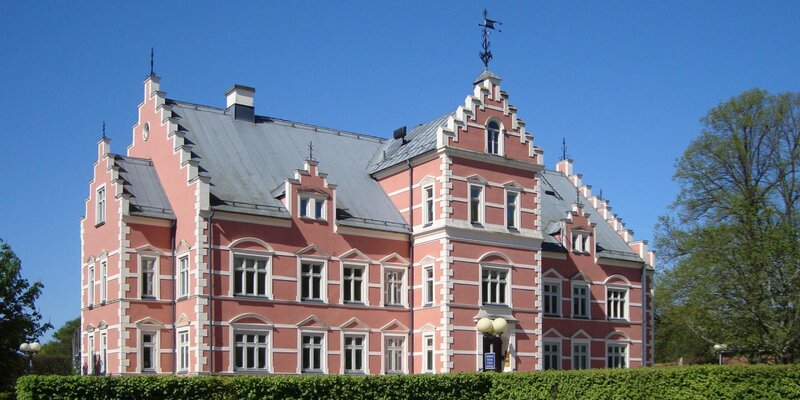 It was built in the 16th century on the ruins of a medieval castle. Extensive modifications in the 18th century gave the manor its present appearance. The seven-pointed star in the facade, the family crest was attached in the 17th century. The park was created in the 17th century and has since been continually changed, depending on the current zeitgeist and the taste of the owners. In its present form the park, despite its magnificent flowers in the rose garden, is a landscaped garden and skilfully uses the differences in height between the castle and the coast. In the farm buildings north of the outer courtyard various public activities are housed. The artist Gunilla von Werder presents her works in her gallery in one of the buildings. Also there is a small museum, a 400-square-meter art gallery, a small music hall, a craft shop and a café with a little souvenir shop in the other buildings.